Philippine security forces exchanged fire on Wednesday with armed men amid widespread looting of shops and warehouses for food, water and other supplies in the aftermath of super typhoon Haiyan, local television reported. The firefight occurred in the village of Abucay, part of worst-hit Tacloban in Leyte province, said ANC Television. Military officials were unable to immediately confirm the fighting. Al Jazeera's Ted Regencia, reporting from Tanauan town in Leyte, where at least 600 people have been killed according to the wife of the mayor, Penelope Tecson, said that conditions in the region were so dire that operations were taking place in a town hall that has been converted into a makeshift hospital. The roof of the hall had been destroyed by the typhoon though, and rains have continued to pelt the area. Our correspondent send through the following videos of an emergency C-Section performed by volunteer doctors/medics from the Medical Missions, Mammoth Lake, California. Mexico, when they heard of the disaster in the Philippines, said Regencia. town in Leyte, and gave birth to a baby girl. Gunshots forced the delay of a mass burial of victims of the huge typhoon that smashed into the Philippines, the mayor of the badly-affected city of Tacloban told AFP news agency. "We had finished digging the mass burial site. We had the truck loaded with bodies ... but ... there was some shooting ... they could not proceed," Alfred Romualdez said. Forensics officers "were with them. But on their way there, they were asked to go back by the security escorts," he said. "They were ordered to turn around by the [police]." The delay is a further setback to authorities' efforts to remove the scores of bodies that still litter streets in the areas worst hit by the enormous storm last Friday. Doctors are warning that in the tropical heat of the Philippines, the bodies will soon become a source of disease. 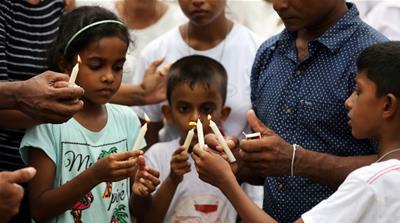 Correspondents in the area report the smell of corpses hanging in the air while an official said the recovery of bodies had stopped because they "ran out of bags". Meanwhile, Al Jazeera's Steff Gaulter report on what role climate change could have played in the formation of such a huge storm. Al Jazeera's Melissa Chan meanwhile reports from San Francisco how Filipino-Americans are raising funds for typhoon victims. The Obama administration says the number of US troops helping the relief effort in the typhoon-hit Philippines could triple to more than 1,000 by the end of the week. Senior administration officials said on Wednesday that after a very difficult first few days, logistical problems blocking aid to the hard-hit city of Tacloban are starting to ease. They say an overland route to the city has opened up, which should speed up the distribution of relief supplies. Some 307 troops are in the Philippines, but more Marines should depart soon from Okinawa, Japan. So far, US forces have evacuated about 800 Filipinos from Tacloban. They are also transporting Philippine security forces to restore order to the region, where violence and looting has occurred. Officials say the security situation is improving. 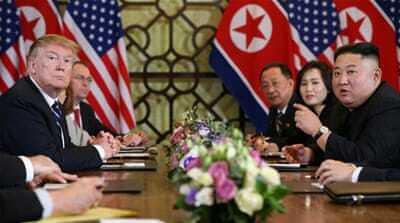 US President Barack Obama on Wednesday encouraged Americans to donate money to support aid for survivors. Obama bemoaned the "awful destruction" of the typhoon, one of the most powerful on record, and directed Americans to the White House website where they could link up with aid organisations working to alleviate the suffering. "Our thoughts and prayers continue to be with the people of the Philippines as they mourn so many loved ones and neighbors lost in the awful destruction of Typhoon Haiyan," Obama said. "The friendship between our two countries runs deep, and when our friends are in trouble, America helps," Obama said in a statement. "With so many families and communities in the Philippines in urgent need of food, water, shelter and medicine, even small contributions can make a big difference and help save lives." 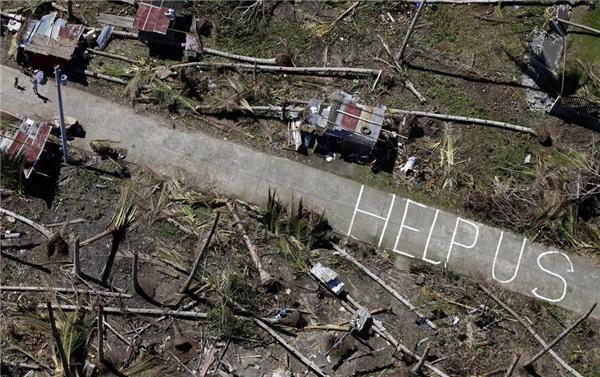 US officials meanwhile voiced optimism that American assets including cargo planes and versatile Osprey aircraft would help bring help to victims still cut off by the storm. Workers are trying to contain an oil spill after Super Typhoon Haiyan damaged a barge in central Philippines. Almost 500,000 litres of oil was spilled into the sea when the powerful typhoon slammed the country on November 8. Officials said the spill has spread over the two-kilometre stretch of the coast of Iloilo. 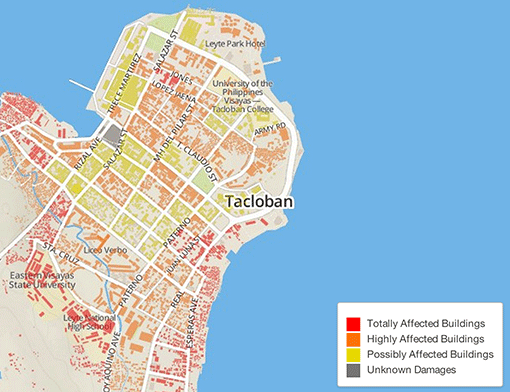 Iloilo was on the path of the typhoon, one of the strongest ever recorded, but did not suffer damages as bad as Tacloban in the eastern part of the country. While much of the world's attention is on the Philippines, there are also devastating floods in Somalia's northeastern Puntland region. At least 300 people have died and the UN estimates tens of thousands more are in need of food, water, shelter and medical supplies. 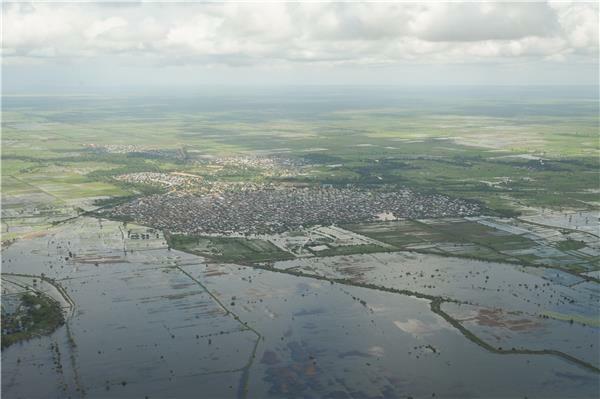 As Al Jazeera's Mohammed Adow reports, many of the roads have been washed away, forcing aid agencies to deliver supplies on foot. Guiuan used to be a picturesque tourist town with a 16th century church as one of its main attractions, but now it has all gone. The US military is airlifting relief goodsaround the clock and have taken control over the destroyed air field. Aid is just starting to reach the area, as Al Jazeera's Step Vaessen brings us this report. Dead bodies still litter the road sides, like garbage, one survivor said, waiting to be picked up, while the living struggle for basic necessities in Tacloban. Running water is now a prized commodity while petrol is in high demand. Al Jazeera's Marga Ortigas reports from the city of Tacloban - where the situation still remains dire. 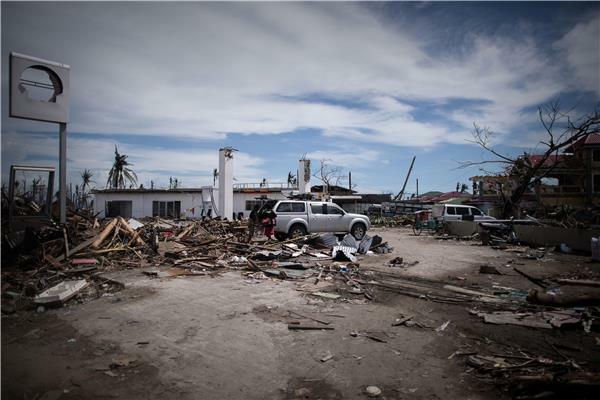 Kuwait and United Arab Emirates have each given $10 million to the UN appeal for $301 million to help survivors of Typhoon Haiyan, John Ging, the UN humanitarian operations director told a news conference. Ging added that more than $80 million has been donated to the Philippines relief effort through other international charities and organizations. "Money is coming very quickly," Ging told reporters, while adding: "We have to keep our foot on the accelerator. Too many people have not received assistance but they should know the assistance is on the way." The United Nations said Thursday, quoting government figures, that about 4,600 people had been killed. The UN would stop giving toll estimates because the figures were becoming "confusing," Ging said. The UN still says that 13 million people have been affected by the typhoon with 1.9 million people displaced and 287,000 homes serious damaged or destroyed. Government and aid workers grapple to get aid to those in need, 600,000 of whom are said to be homeless. View slideshow. 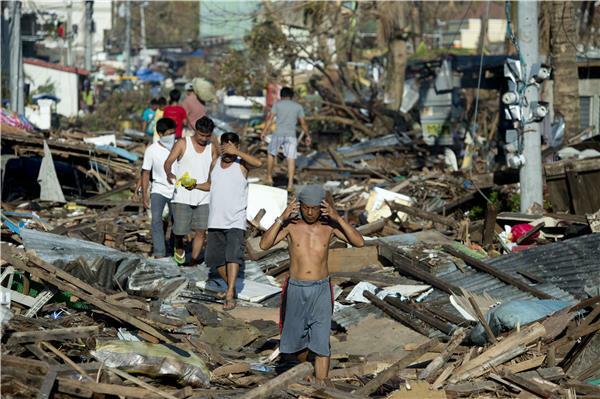 The effects of Super Typhoon Haiyan continue to be felt throughout the Philippines. The degrees of destruction vary - some villages have water while others have been leveled to the ground and aid efforts have been uncoordinated and difficult to access. 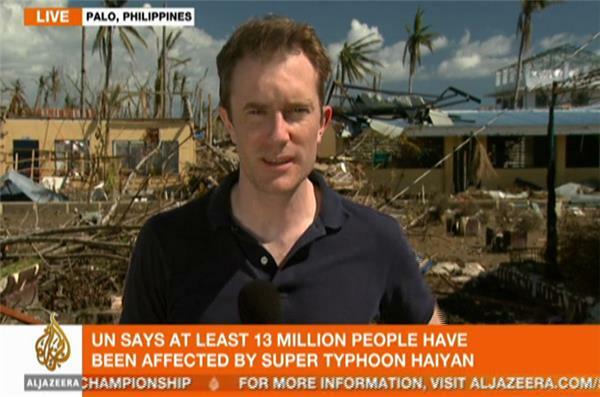 Al Jazeera's Veronica Pedrosa reports from Tacloban, Philippines. 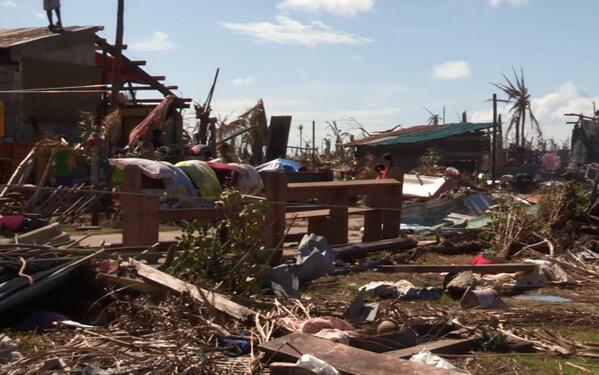 President Benigno Aquino has been touring areas worst hit by Typhoon Haiyan. His government is facing criticism over its slow response to the disaster - as thousands remain cut off from international aid. But as aid starts to pour in for the typhoon survivors, many are now gathering to pray in churches as they face the task of rebuilding their lives. The touching story of a young lady who goes back to her hometown to search for her family.